BitLocker is prompting for a recovery key and you lost it? 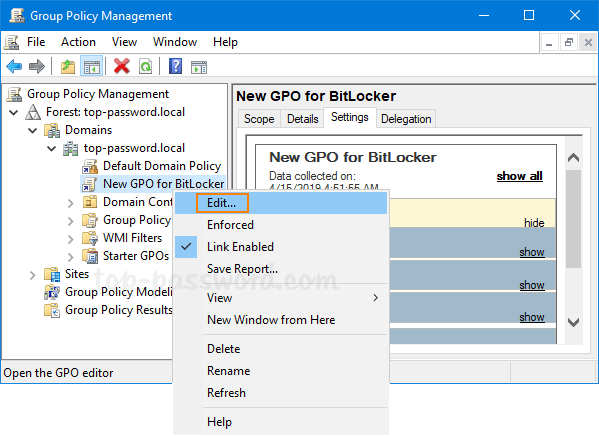 Applying the GPO to store BitLocker recovery password in Active Directory is a good practice for companies when data security is a concern. 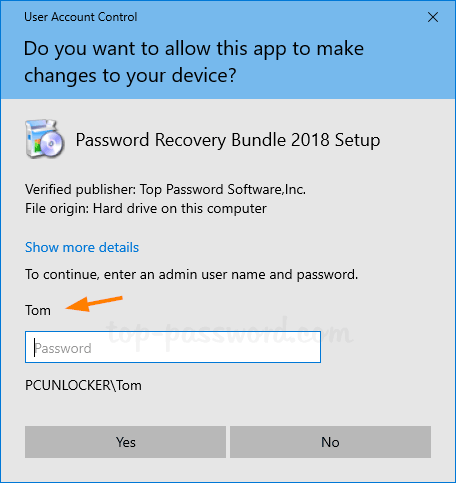 In this tutorial we’ll show you different ways to find BitLocker recovery key/password from Active Directory or Azure AD. Press the Windows key + X and then select “Windows PowerShell (Admin)” from the Power User Menu. Copy and paste the following script into the PowerShell console and hit Enter. 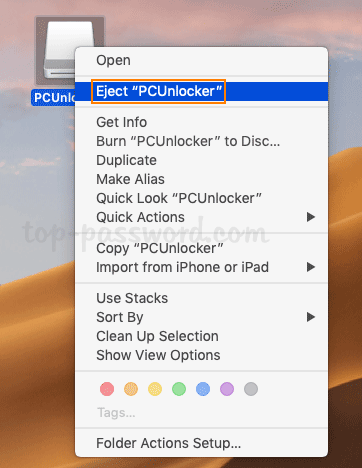 Substitute “PCUnlocker” with the name of the computer you want to locate BitLocker recovery key for. It will retrieve all details from the ‘msFVE-RecoveryInformation‘ objects attached to your target computer. 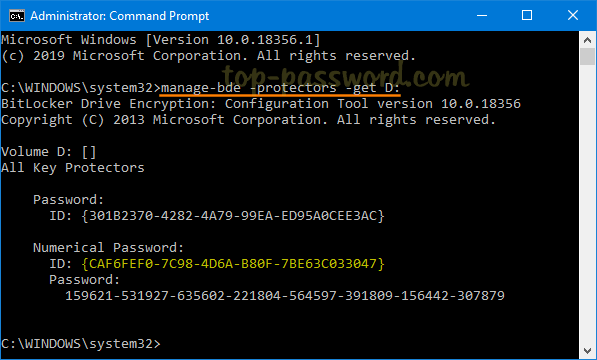 The msFVE-RecoveryPassword item is the BitLocker recovery key you’re looking for. After opening the Active Directory Users and Computers snap in, expand your domain and click the Computers container. Right-click on your target computer object and select Properties. 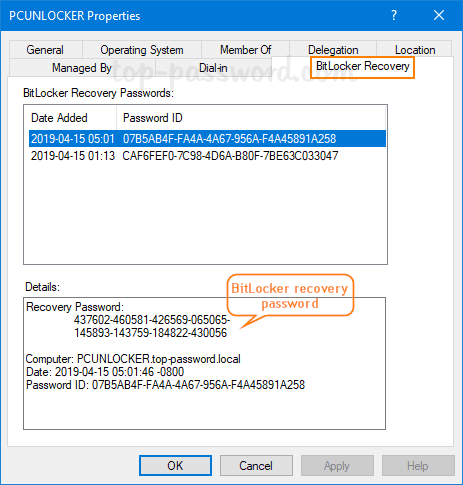 Go to the Bitlocker Recovery tab, you can view all BitLocker recovery keys that were automatically backed up to AD. 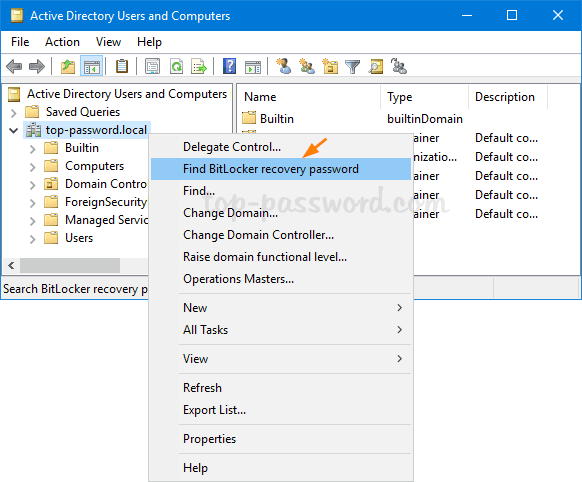 Right-click on your domain in the left pane of Active Directory Users and Computers snap in, and then select Find BitLocker recovery password. Enter the first 8 characters of Password ID and click on Search. It will locate the matching BitLocker recovery keys that are stored in your Active Directory. Once the BitLocker recovery key is backed up to Azure AD, users can find their own keys in the Profile section after signing into https://account.activedirectory.windowsazure.com/profile/. 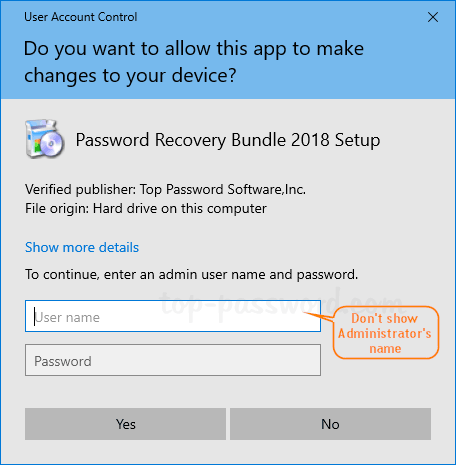 Administrators can log in to https://account.activedirectory.windowsazure.com/n/#/devices, select the appropriate device, and click View Details to get the BitLocker recovery key. As a system administrator, you may find it’s difficult to keep track of BitLocker recovery keys for all computers in company network, especially when number of machines is more than 100. 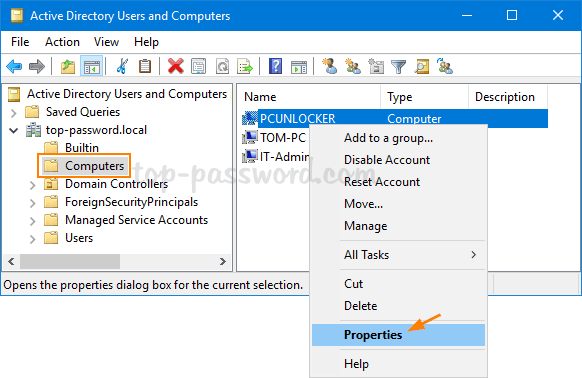 In this tutorial we’ll show you how to set the group policy to automatically backup BitLocker recovery information to Active Directory, so you can centrally manage the recovery keys/passwords in one place. 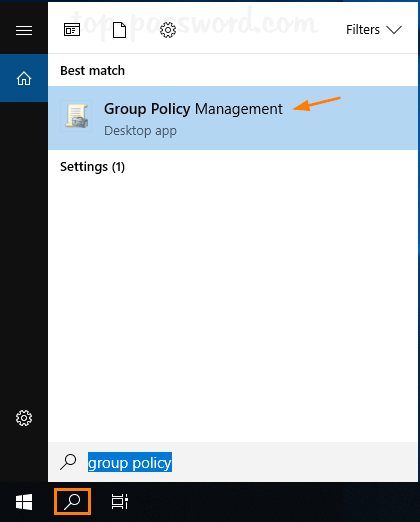 Click the Search icon in the taskbar and type “group policy“. You can then click Group Policy Management to launch it. 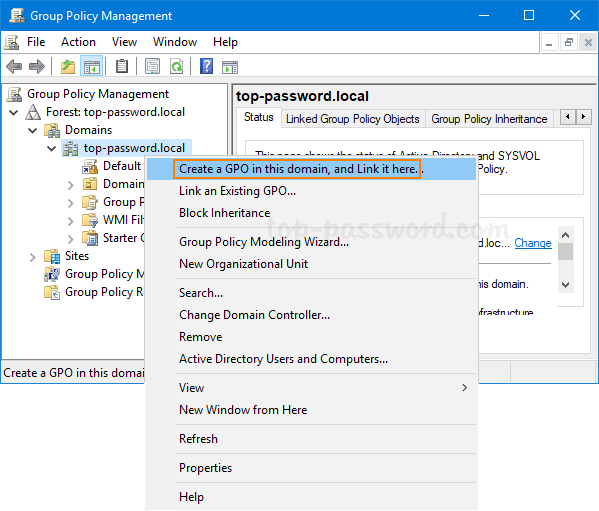 Now in the left pane of Group Policy Management, right-click your AD domain and select “Create a GPO in this domain, and Link it here…” from the menu. In the New GPO dialog, give the GPO a name and click OK.
Right-click the newly-created GPO in the left pane, and select Edit. 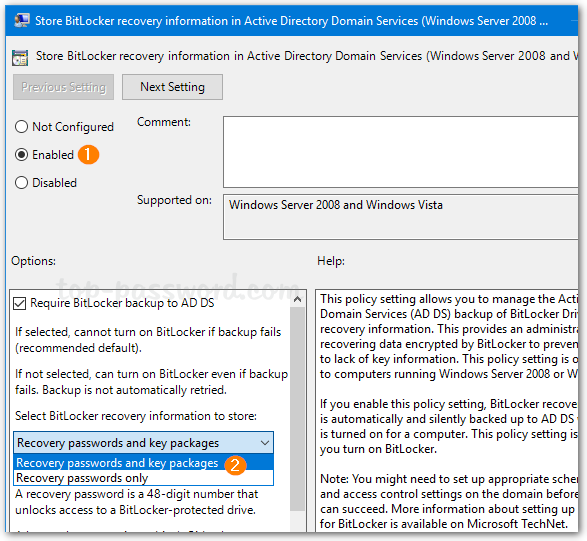 Browse to Computer Configuration -> Policies -> Administrative Templates -> Windows Components -> BitLocker Drive Encryption, and then double-click the policy “Store BitLocker recovery information in Active Directory Domain Services“. Set the policy to Enabled. Make sure the “Require BitLocker backup to AD DS” option is checked, and select to store both recovery passwords and key packages. Next, expand BitLocker Drive Encryption in the left pane. You’ll see three nodes: Fixed Data Drives, Operating System Drives, Removable Data Drives. 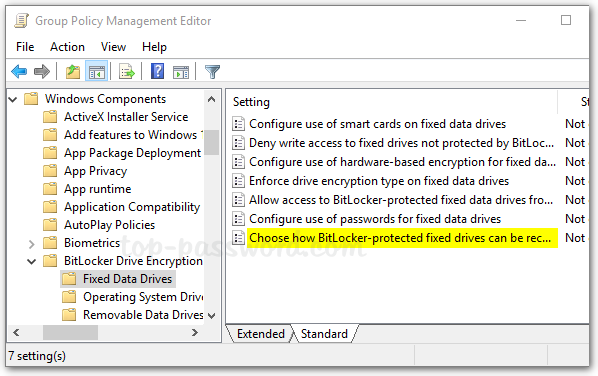 Just select Fixed Data Drives and double-click the policy “Choose how BitLocker-protected fixed drives can be recovered“. Set it to Enabled. 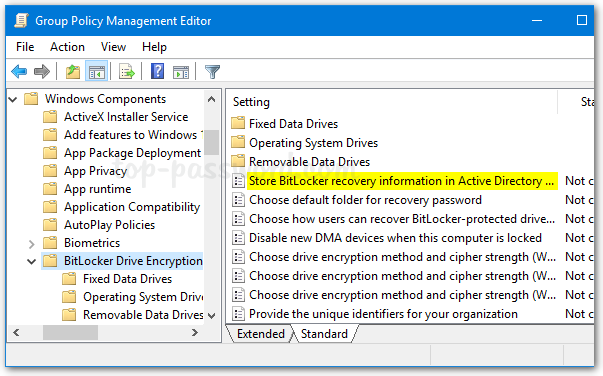 Check the options “Save BitLocker recovery information to AD DS for fixed drives” and then click OK.
Go to the “Operating System Drives” node and turn on the similar policy “Choose how BitLocker-protected operating system drives can be recovered“. Afterwards, go to the “Removable Data Drives” node and enable the policy “Choose how BitLocker-protected removable drives can be recovered“. 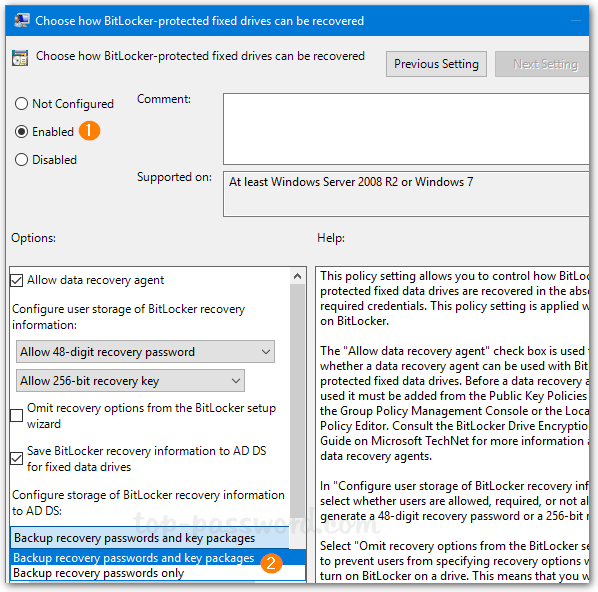 When any client PC retrieves the policy changes, BitLocker recovery information will be automatically and silently backed up to AD DS when BitLocker is turned on for fixed drives, OS drives or removable drives. What you need to take note of is the Numerical Password ID. 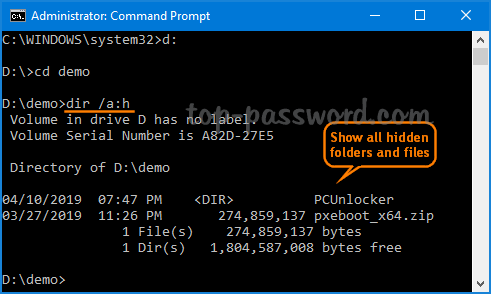 Next, type the following command to backup your BitLocker recovery password to Active Directory. Remember you have to use the Numerical Password ID obtained on the previous step. 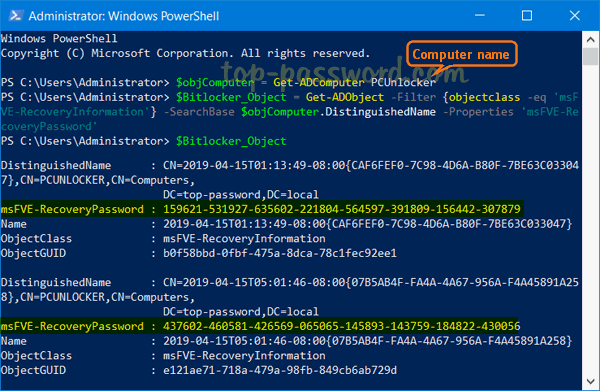 BitLocker Recovery Password Viewer tool is an optional feature included with Windows Server 2008 – 2019, which lets you store and view BitLocker recovery keys in AD for all client computers. By default, this feature is not installed and BitLocker Recovery tab in ADUC is missing. 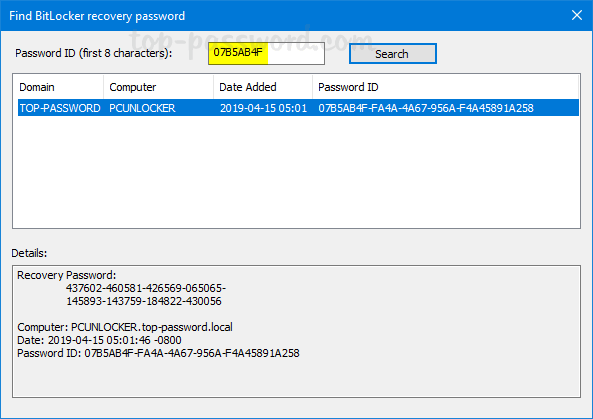 In this tutorial we’ll show you 2 methods to install BitLocker Recovery Password Viewer for Active Directory in Windows Server 2008/2012/2016/2019. 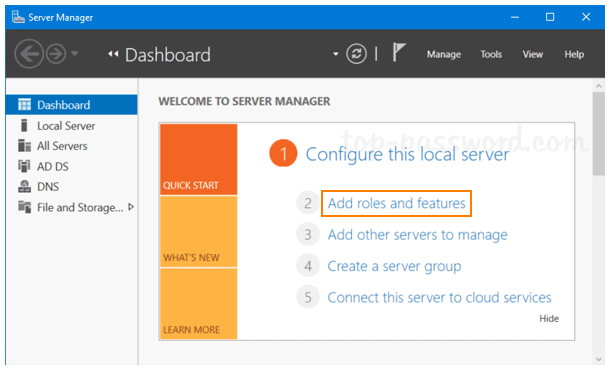 Open Server Manager and click on “Add roles and features“. Click Next through the wizard until you get to the Server Roles page. 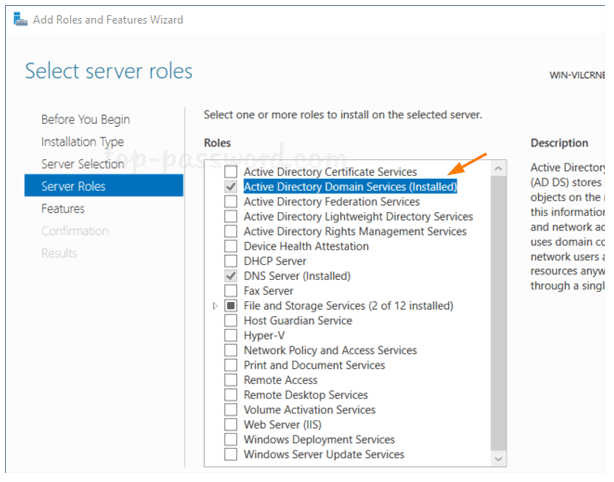 Make sure “Active Directory Domain Services” is checked. 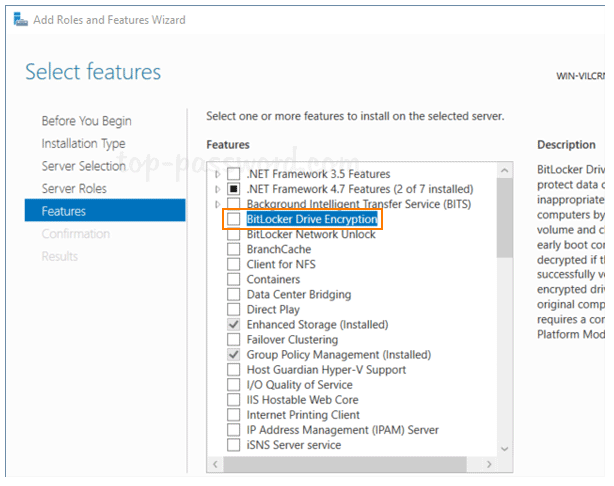 In the Features page, check the “BitLocker Drive Encryption” feature. 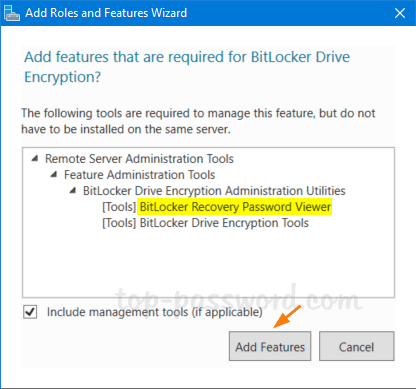 If you’re prompted to confirm adding features that are required for BitLocker Drive Encryption, click on Add Feature button. Once completing the wizard, take a look at the Computer Properties dialogue box in Active Directory Users And Computers, you’ll see the BitLocker Recovery tab. Press the Windows key + X or right-click on the Start button to open the context menu, then select Windows PowerShell (Admin). When it’s done, you’ll be prompted to restart your server to finish the installation process. When you use Ctrl + C to copy text, images or other information in Windows, your data will be stored in the clipboard temporarily so you can then paste it somewhere else. Clipboard works as a temporary repository for data during copy-and-paste operations. In this tutorial we’ll show you different ways to clear clipboard history in Windows 10. 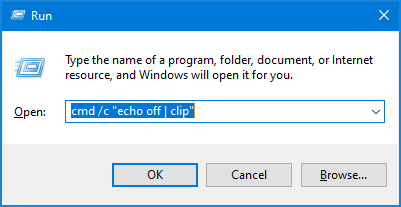 Press the Windows key + R to open the Run box, then type cmd /c “echo off | clip” and hit Enter. This command will add an empty item to the clipboard history so you then can’t paste anything anywhere. 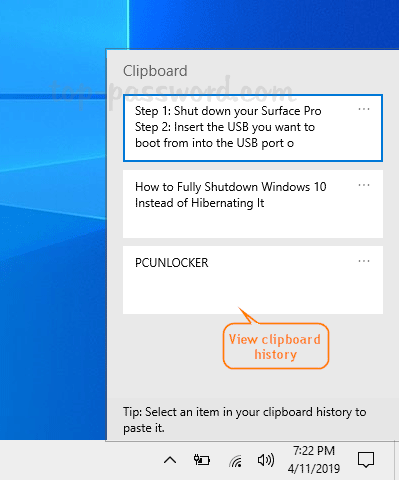 This method could also be used to clear clipboard history in Windows 8, 7, Vista. Open the Settings app and navigate to System -> Clipboard. 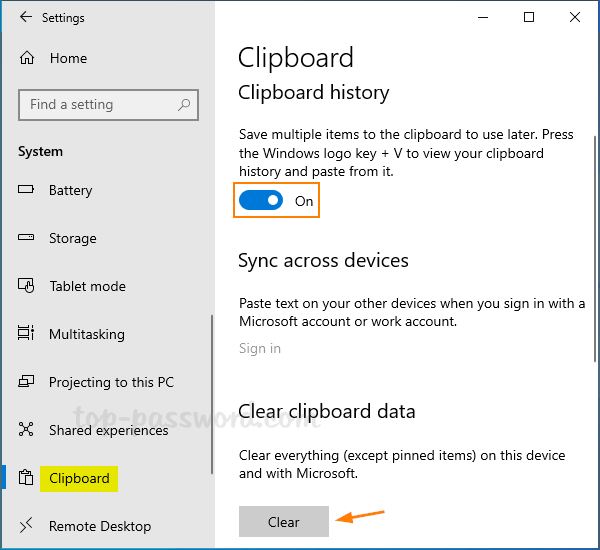 On the right pane, you can turn off the “Clipboard history” toggle switch to prevent Windows clipboard from saving multiple items. In this case, only the last item you copied into the clipboard will be saved. When the “Clipboard history” feature is turned on, you can click the “Clear” button to manually clear all history items from the clipboard. Just press the Windows key + V in any application, a Clipboard panel will appear where you’ll see a list of items (such as text and images) that you have recently copied from different applications. Click on the three dots icon on the upper-right part of the clipboard item you want to delete. When the pop-up menu appears, you can select Delete to clear it. Is there a way to hide important files to prevent accidental deletion? In this tutorial we’ll show you how to hide or unhide folders / files in Windows 10 using Command Prompt. This command will assign the “Hidden” attribute to your target folder or file, and make it disappear from the File Explorer view. This will show all hidden folders or files in that location. That’s it! The built-in option to hide folders/files is pretty easy but it’s not secure because anyone can unhide them the easy way. If you need to hide sensitive files from prying eyes, it’s a good idea to use third-party softwares (for instance, Protect My Folders) to hide and lock your folders/files with a password. By default, Windows 10 enables a feature called Fast Startup (Hybrid Shutdown) that can shut down and boot up your PC much faster than Windows 7 or previous versions of Windows. When you shutdown Windows 10, you’re actually performing a partial hibernation. 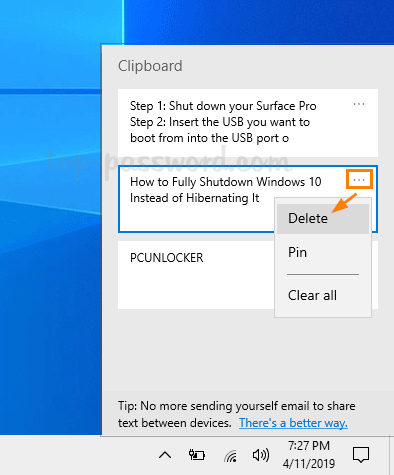 If you prefer to have your PC completely shut down, you can either turn off Fast Startup feature or use the following methods to fully shutdown Windows 10. We’ve covered many different ways to shutdown Windows 10 in the past, but you might not realize that Windows 10 is just doing a hybird shutdown by default. 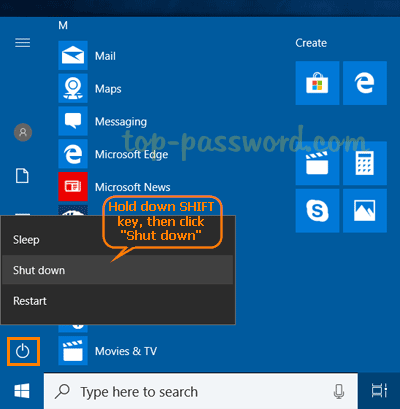 If you would like to perform a full shutdown, simply hold down the SHIFT key on your keyboard and then click the “Shut down” option in the Start Menu, or on the sign-in screen. This will immediately close any open applications without prompting to save your work, and completely shut down your PC. The Fast Startup feature can make your computer boot up faster, saving valuable seconds every time you turn on Windows 10. However, if your Windows 10 was installed on a speedy solid-state drive (SSD), Fast Startup don’t actually make any difference and a full shutdown is recommended. 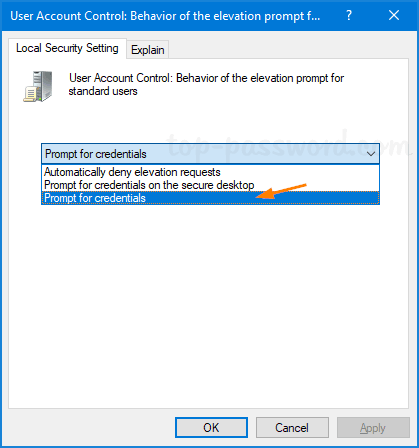 When a standard user tries running a program that needs elevated permissions, the UAC prompt will prompt you to enter administrator credentials to confirm. If you want to avoid being prompted all the time, you can set UAC to automatically deny elevation requests. In this tutorial we’ll show you 2 simple ways to change UAC behavior for standard users in Windows 10. 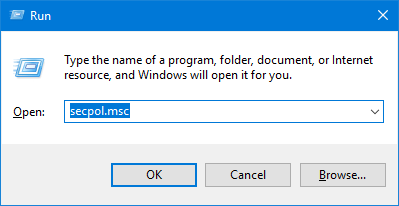 Press the Windows key + R to open the Run box, type secpol.msc and hit Enter. In the Local Security Policy window, navigate to Local Policies -> Security Options. 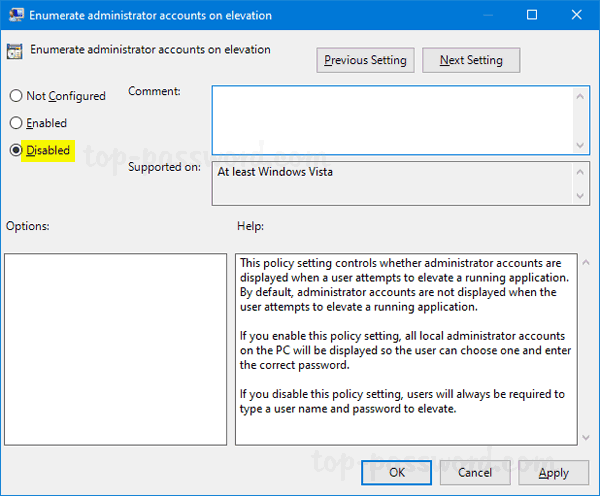 On the right, double-click the policy called “User Account Control: Behavior of the elevation prompt for standard users“. 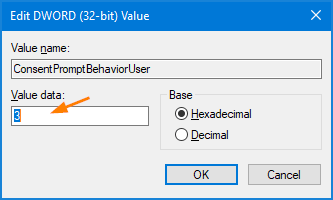 Click the drop-down box to select the UAC behavior you want to set for standard user accounts, and then click OK.
Next, double-click on the DWORD ConsentPromptBehaviorUser to modify it. Reboot your machine to apply the changes. When a non-admin user attempts to run a program with administrative privileges, a UAC prompt will pop up asking the user to enter password for specific Administrator account before allowing to make changes. In this tutorial we’ll show you how to make Windows 10 hide the local administrator account from the UAC prompt, so standard users have to enter both user name and password of a local administrator account to elevate its permissions. 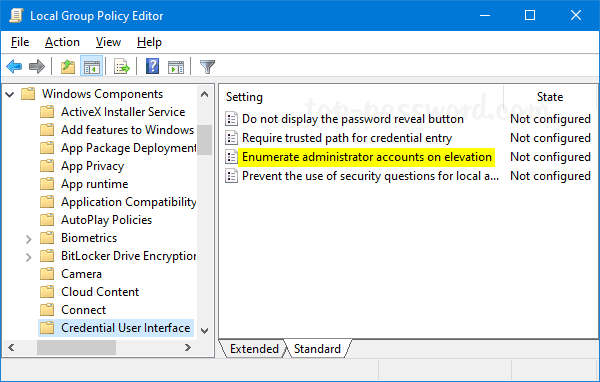 Double-click the “Enumerate administrator accounts on elevation” policy. Set it to Disabled. Click Apply and then OK. The next time you require UAC elevation, you should be required to type in both a username and password. For those using a Home edition of Windows 10 which lacks the Local Group Policy Editor, you can use the following registry tweak to hide the administrator accounts from the UAC prompt. If you do not have the CredUI key, then just create it. Right-click any blank area in the right panel and select New -> DWORD (32-bit) Value. Name it EnumerateAdministrators and leave its value as 0. If you need to make UAC prompt show administrative accounts again, just change the value of EnumerateAdministrators to 1 and you’re done. 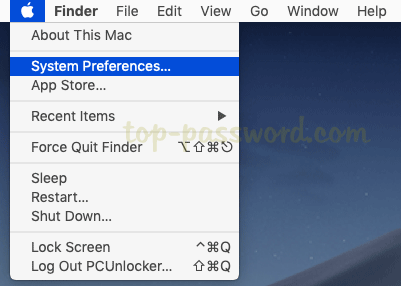 How can I reset a forgotten Mac password with another admin account? If you have more than one user account on your Mac, try signing in with a different admin account and you can change other user password with ease. Click the ‘Apple’ logo in the menu bar, and then select System Preferences. 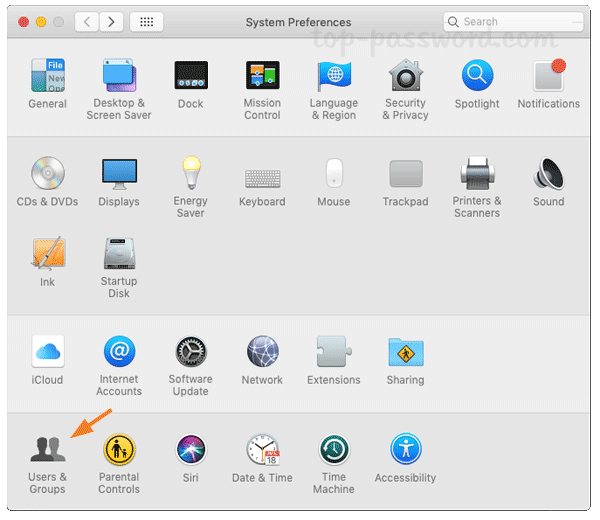 When the System Preferences window opens, click on the Users & Groups icon. Click the lock icon in the bottom left corner to unlock the settings. 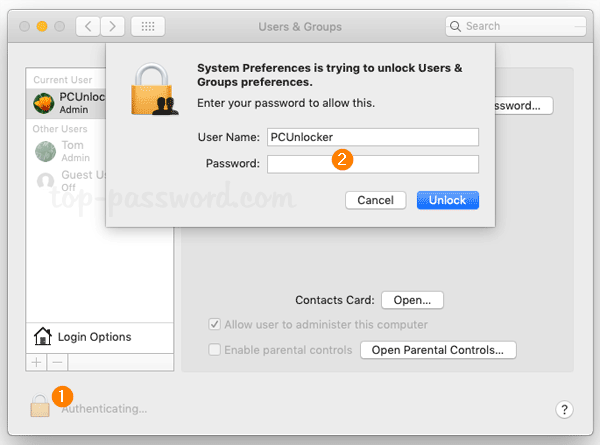 Enter your current Mac account password and click Unlock. From the list of users on the left side, select the account you’ve forgotten the password for and then click on Reset Password button. Fill in the new password twice and set up a password hint, and then click on Change Password. 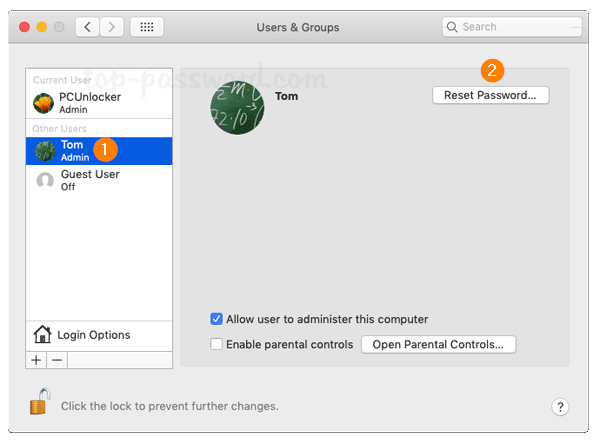 Now you can log in to your locked Mac account with the new password. Using the terminal you can change other user password without old password on macOS High Sierra or earlier versions. However, since macOS 10.14 Mojave the terminal still requires you to provide the old password. Once pressing Enter, you’ll firstly be prompted to enter the password of the current admin account you’re logging into. After that, you need to enter the new password twice for your target account. 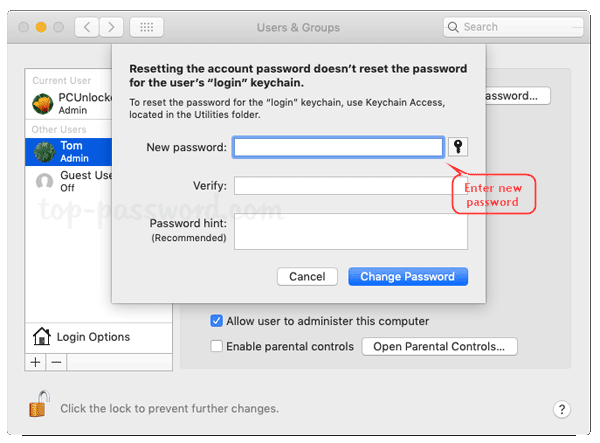 If you’re running macOS Mojave, the old password is required before you can set a new password. Looking for a way to open an .ISO file on your Mac? ISO files are often used to distribute bootable utilities for DOS, Windows, Linux or other operating systems. In this tutorial we’ll show you 3 easy ways to open and mount ISO file on macOS High Sierra. 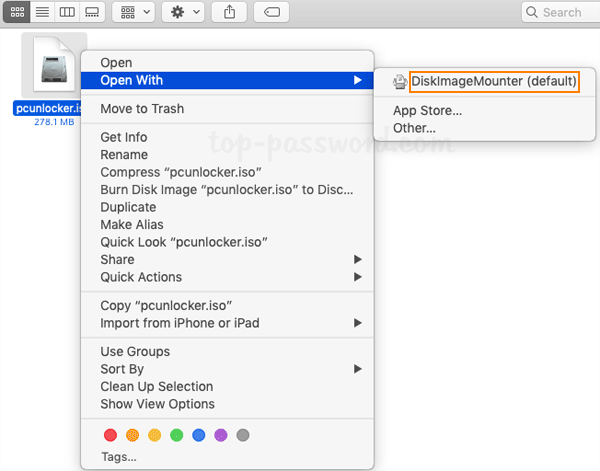 To start, open a Finder window and navigate to the location of your ISO file, then right-click on it and select “Open With” -> “DiskImageMounter (default)“. A new drive will now appear on your desktop. You can double-click it to open the drive and view the contents of your ISO image. When you no longer need to access the mounted drive, just right-click on it and select Eject. Click the “Finder” icon in the dock. 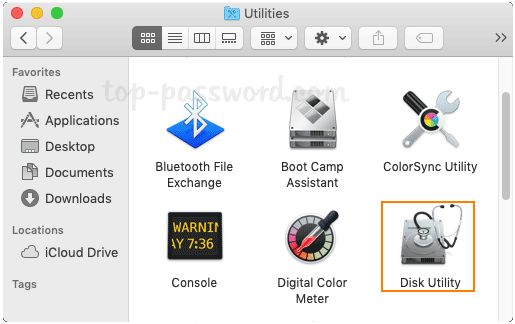 select Applications in the sidebar, then double-click the Utilities folder and then double-click Disk Utility. 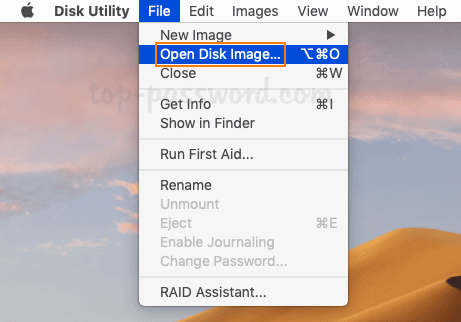 Once Disk Utility is open, click the File tab on the menu bar and then select Open Disk Image. Next, select any ISO image you want to mount, and click Open. Open up a Terminal window and you can mount an ISO image by executing the following command. Note down the name of the destination mount point (e.g. /Volumes/PCUnlocker) as we need to use it to unmount the disk.